TFI Envision Receives 2 Golds + Honorable Mention from MarCom | TFI Envision, Inc.
Arlington, TX — TFI Envision, Inc. was awarded two Gold Awards and one Honorable Mention from the 2013 MarCom Awards Competition. The MarCom Awards is an international creative competition that recognizes outstanding achievement by marketing and communications professionals. It is perhaps the largest of its kind in the world, with about 6,000 entries per year. 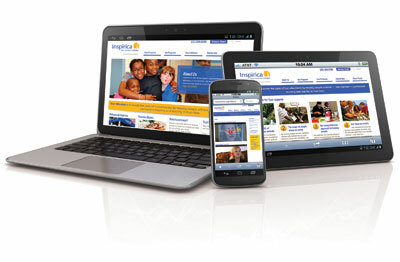 One Gold Award was for the Inspirica, Inc. Website. The website was a critical component of the renaming and rebranding of this nonprofit organization which has been providing shelter and hope to individuals and families struggling with homelessness in Connecticut for over 100 years. One Gold Award was for the 2012 Integrated Brand Campaign for Standard Motor Products, Inc.TechSmart® brand. TechSmart is a unique line of products developed specifically to deliver innovative solutions for today’s technicians in the automotive aftermarket industry. The Honorable Mention was for the KangaTime® Website, which gives users the unique ability to create an online environment where they can collect, organize and safely store the most important memories (from photos, videos and audio to notes, quotes and words of wisdom) of their loved ones. This website was an essential part of the overall project, which included the brand development, tagline and introductory sales video.